A boutique fine art professional services firm, Ainslie Gatt Art Consultancy is situated in Cottesloe, Western Australia. With over two decades of experience in the fine arts as a curator, gallery director, an independent art consultant and art dealer, Ainslie is a specialist in her field. With postgraduate academic expertise in Australian and contemporary art practices, Ainslie has cultivated a significant artist and client database, developing and maintaining strong relationships and ensuring high-quality design and research outcomes for her clients. 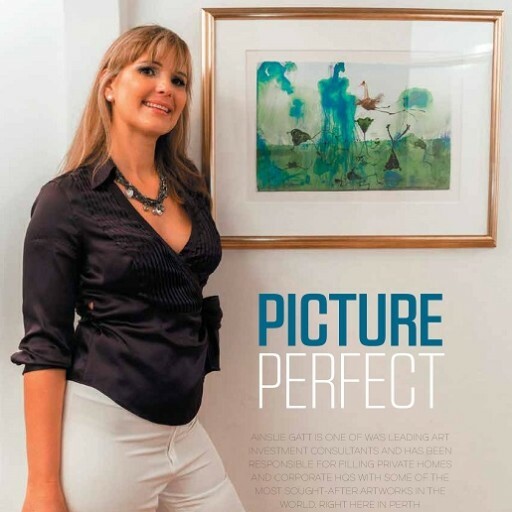 As art consultant and project manager, Ainslie’s client network spans across private individuals, property developers, interior designers, the corporate sector, the financial community, resource sector, resort industry, and legal community, with many established long-term client relationships. Within her boutique art consultancy firm, Ainslie assists in the development of small to large scale art projects and engaging artists across a range of mediums to create permanent or temporary artworks to enliven interior or exterior spaces. Accurately matching the client to the artist and providing seamless service, Ainslie delivers artworks of excellence on time and budget. Ainslie’s academic achievements include a Master of Curatorial Studies in Fine Arts by Research at the University of Western Australia (UWA); a Bachelor of Arts (Visual Culture) from Curtin University, Perth; a Certificate in Museum Studies from Edith Cowan University, Mt Lawley; and she studied a Bachelor of Arts (Communication and Cultural Studies) also at Curtin University. Currently, Ainslie is enrolled in the Graduate Certificate in Business at UWA. As your art consultant and project manager, Ainslie Gatt Art Consultancy provided the following services. As your art consultant and project manager for your art required project, Ainslie provides a convenient one-stop access point to the fine arts. Speaking the language of the developer, planner, designer, architect, and artist, Ainslie works to collaborate, link and integrate. Engaged from the initial planning stage to ensure the artistic concepts fit precisely into their environments, this enables Ainslie to deliver a distinctive sense of place with signature art and design features; cost effectiveness, amenity & safety, and a unique spatial vitality that will captivate intrigue and beautify. AGAC is not bound to or by any specific art dealer, auction house or gallery. We solely represent our client’s interest in the market, providing a personalised, independent and impartial service.